Having delivered many talks on Business Architecture over the years, I’m often struck by the common vision driving many members in the audience – a vision of building cohesion in a business, achieving the right balance between competing forces and bringing the business strategy and operations into harmony. However, as with many ambitious visions, the challenge in this case is immense. As I will explain, many of the people who envision this future state of nirvana are, in practice, inadvertently preventing it from happening. There are a host of standards and disciplines that are brought into play by enterprises to improve business performance and capabilities. For example standards such as PRINCE2, BABOK, BIZBOK, TOGAF, COBIT, ITIL and PMBOK are designed to ensure reliability of team output and approach across various business activities. However, in many instances these standards, operating together, present important gaps and overlaps. One wonders whose job it is to integrate and unify these standards. Whose job is it to understand the business requirements, business processes, drivers, capabilities and so on? Each has a purpose and brings value in isolation. However, in the common scenario where they are developed using differing tools, methods, frameworks and techniques, the result is usually greater fragmentation, not more cohesion – and consequently we can end up with some very confused and exacerbated business stakeholders who care less about what standard we use and more about finding clarity to just get the job done. Ask a room filled with business analysts and business architects how their jobs differ and relate, and I guarantee that would receive a multitude of alternative and sometimes conflicting perspectives. Both of these disciplines try to develop standardised methods and frameworks for the description of the building blocks of an organization. They also seek to standardise the means by which to string them together to create better outcomes. In his book, “The Design of Business: Why Design Thinking is the Next Competitive Advantage,” Roger Martin describes the relationships and trade-offs between analytical thinking and intuitive thinking in business. He refers to the “knowledge funnel,” which charts the movement of business focus from solving business mysteries using heuristics to creating algorithms that increase reliability, reducing business complexity and costs and improving business performance. When examining the competency models for business analysis and Business Architecture, the desire is to position these two disciplines right across the spectrum of reliability and validity. The reality is that both the business architect and the business analyst spend a large portion of their time in the reliability space, and I believe I’ve found the reason why. Both the BABOK and the BIZBOK provide a body of knowledge focused predominantly around the reliability space. In other words, they look at how we define the building blocks of an organization, and less so at how we invent better building blocks within the organization. While we still have some way to go to integrate, the Business Architecture and business analysis disciplines are currently bringing great value to business through greater reliability and repeatability. However, there is a significant opportunity to enable the intuitive thinkers to look at the bigger picture and identify opportunities to innovate their business models, their go-to-market, their product and service offerings and their operations. Perhaps we might consider introducing a new function to bridge and unify the disciplines? At the end of the day, what matters most is not business analysis or Business Architecture themselves, but how the business will bridge the reliability and validity spectrum to reliably produce desired business outcomes. I will discuss this topic in more detail at The Open Group Conference in Sydney, April 15-18, which will be the first Open Group event to be held in Australia. 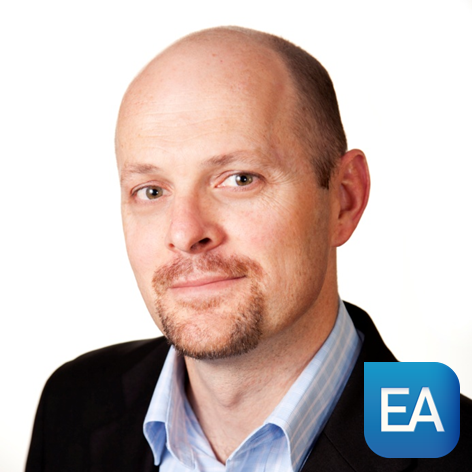 Craig Martin is the Chief Operating Officer and Chief Architect at Enterprise Architects, which is a specialist Enterprise Architecture firm operating in the U.S., UK, Asia and Australia. He is presenting the Business Architecture plenary at the upcoming Open Group conference in Sydney. We value your contributions so please feel free to do so in the comment section below. Teams that train together, win together. Big Bash, Australia Open, Grand Prix, and the importance of Big Data. Will Digitization Disrupt Your Career? Cloud? – Just Let the Business Decide! Why Spend Money on EA When Budgets are Tight? Business Function: Does it still have a place in Business Architecture?